Looking for a less distracting place to work? Each ETC has study rooms available, just stop in to reserve a spot. Use these rooms for quiet work area, group study sessions, and taking tests. Need a computer or program? 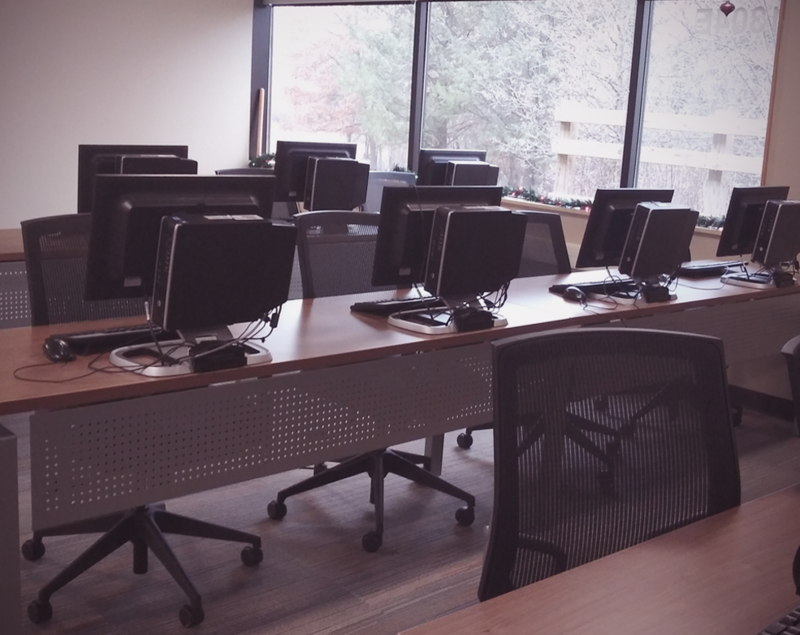 The computer lab in each ETC has the same programs available as your classroom.